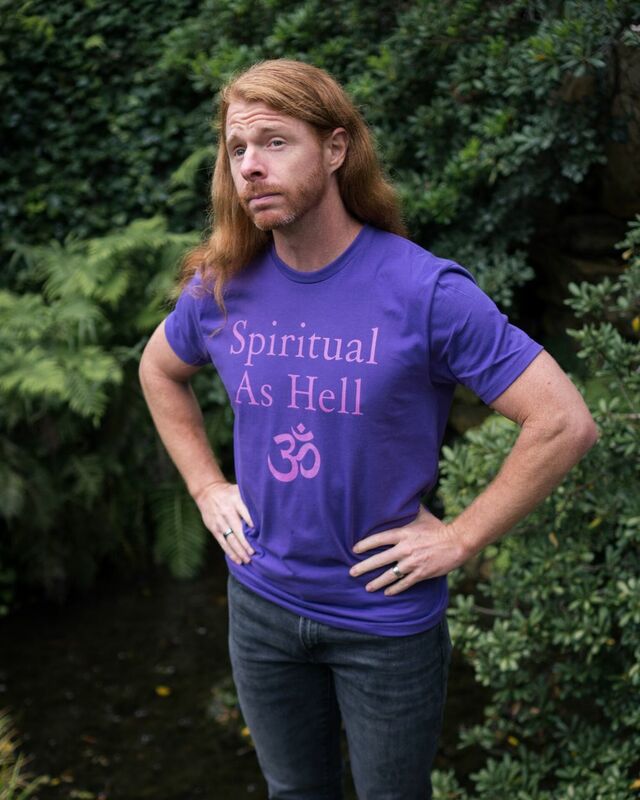 The Spiritual As Hell shirt is specifically engineered by fashionable silent monks, who are void of intimate relations and therefore fully devoted to handcrafting your free range artisan shirt, to help you declare your heaven on Earth attainment of spiritual mastery. Shipping starts on May 15. Available until April 29.